I finally got back to the five-string. Things have been hectic. The boys are in New Jersey, this week, and the daughter is back in Switzerland, so I spent today trying to carve this scroll. 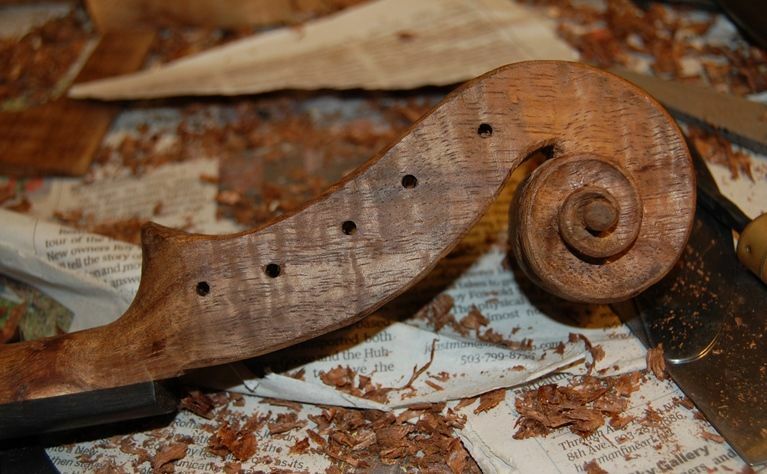 This is the hardest wood I have ever carved for a fiddle scroll– not in the least like Maple, which is tough, but not so difficult to carve. 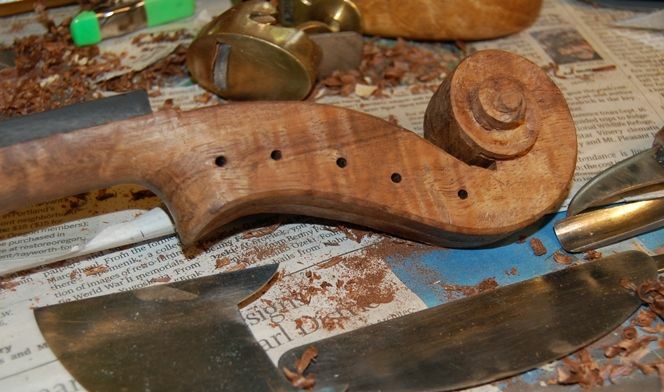 I had left the scroll partially carved, and the neck roughly shaped. Pilot holes are in place. 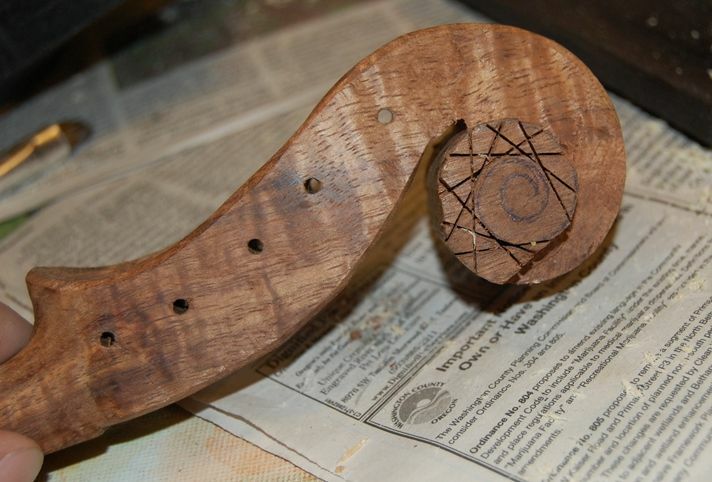 rough-cuts made to outline the scroll. 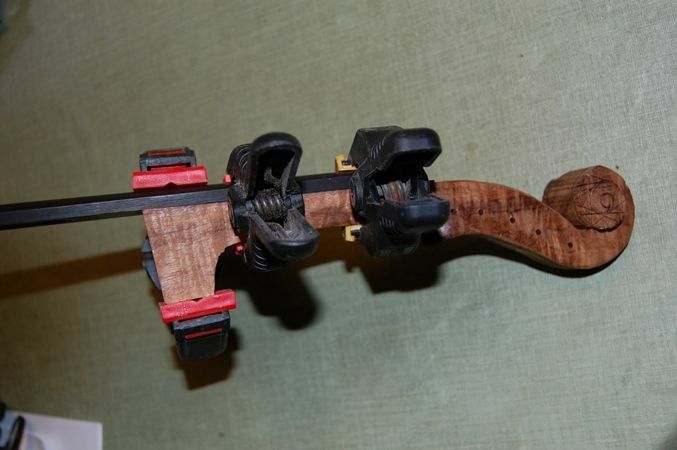 So I completed most of the neck shape and temporarily glued the fingerboard to the neck. 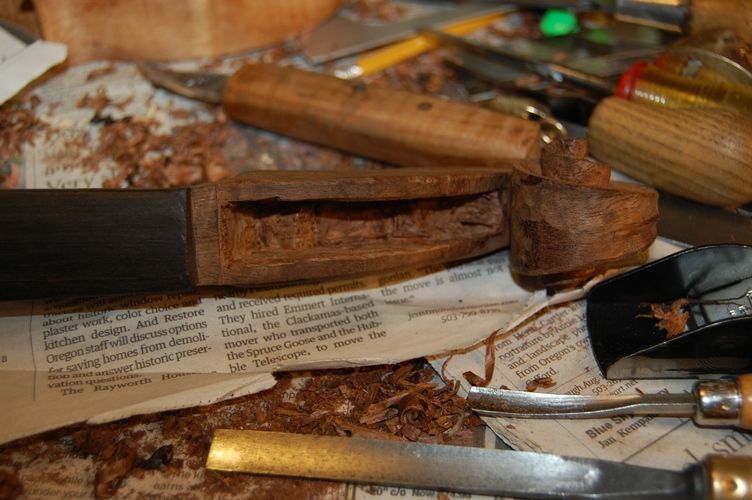 Carefully carving away the excess wood around the eye of the scroll. Trying to work both sides the same way, so that the finished result will be symmetrical. Beginning the pegbox. 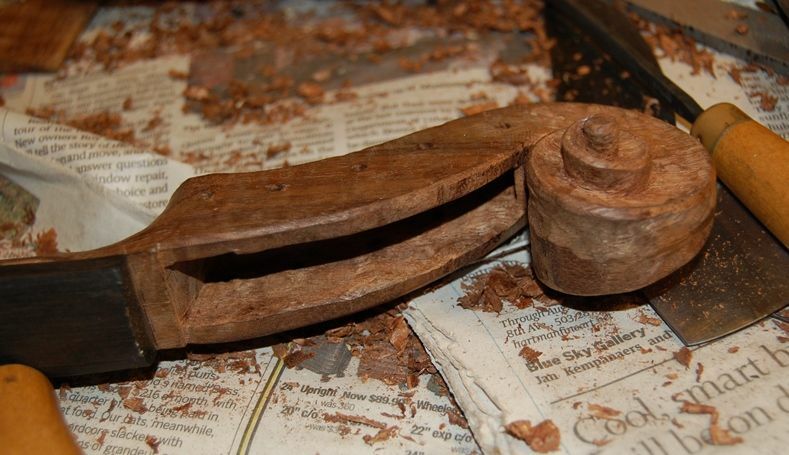 The narrow gouge gives me more control and better penetration into the extremely hard wood. 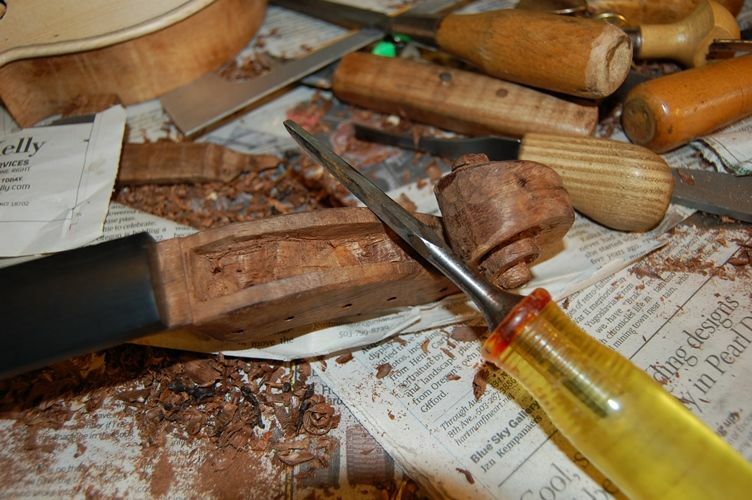 Deepening the pegbox and beginning the outer fluting. And that is as far as I got, today. You can see that I have begun undercutting the turns of the scroll, and chamfering the edges, but there is a long way left to go. 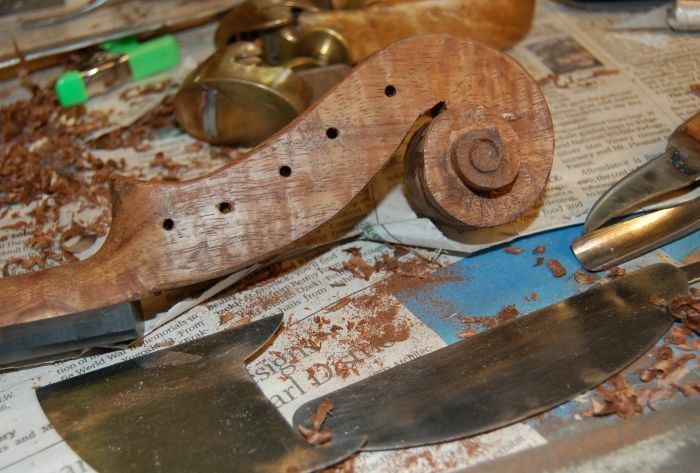 Monday is a holiday, and I intend to spend it working on this instrument, so perhaps I will have more to show next week.